Q-Cells SE, one of the world’s leading photovoltaics companies, achieved a world efficiency record for mass-produced CIGS thin-film solar modules manufactured via monolithic integration. The Fraunhofer Institute for Solar Energy Systems (ISE) has confirmed an efficiency of 14.7 per cent (aperture area) for a Q-Cells Q.SMART UF solar module manufactured by Q-Cells’ 100 per cent subsidiary Solibro GmbH. The record efficiency, measured in February 2011 by the renowned Fraunhofer Institute for Solar Energy Systems in Freiburg, Germany confirmed a power output of 100.3 Watt peak (Wp) under standard test conditions. The Q-Cells Q.SMART UF solar module, with an area of 0,75 m², reaches a total area efficiency of 13.4 per cent. Moreover, with an aperture area of 0,684 m², the module's aperture area efficiency is 14.7 per cent. 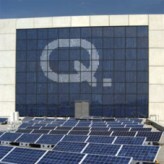 Q-Cells CIGS thin film technology now holds the world record for monolithically integrated photovoltaic modules based on the record efficiency table compiled by Progress in Photovoltaics*. “In June 2010, Q-Cells achieved the previous efficiency world record of 13 per cent with the same type of CIGS solar module out of series production”, noted Gerhard Rauter, COO of Q-Cells. “With this new record – 13.4 per cent – Q-Cells proves one more time its technological leadership in the photovoltaic sector.” Q-Cells’ CIGS thin film modules are currently taking part in a number of reference installations and are exhibiting stable and outstanding energy yields (KWh/KWp). Even after one year of operation Q.SMART systems in different European regions of irradiation show improved performances. The Q.SMART UF achieved currently among the top performers in a benchmark at the test field of “Desert Knowledge Australia Solar centre”, a peak performance under extreme climate conditions. So far the Q.SMART UF is the highest-performing solar module in this international comparison. www.dkasolarcentre.com.au. The Q.SMART UF is the unframed CIGS solar module from Q-Cells. It stands out for its performance and high quality. Due to its homogenous black surface it is a perfect fit on visual aesthetics and building integrated installations and suitable for private and small to medium-sized commercial and industrial rooftop and in-roof installations. The unframed modules stand out for their efficient self-cleaning, making them perfect for flat roofs and façade solutions. Produced in the German city of Bitterfeld-Wolfen, Q.SMART UF exemplifies "Made in Germany" quality. The solar modules are designed for good response to temperature and low light, ensuring high energy yields. This is supported by the positive sorting +5/-0 watts, allowing deviations only to higher than expected levels. Advantageous cell geometry makes the modules especially efficient in the event of partial shading or a less-than-optimal positioning of the roof. The module features durable glass encapsulation with a proven edge seal for long-term stability, ensuring protection and resistance to environmental influences. Q-Cells currently offer two CIGS thin film formats: Q.SMART (framed), Q.SMART UF (unframed) and Q.SMART UF L (unframed large). The latter format is 25% wider than the former two so as to reduce the associated BOS costs on large rooftop and free-field installations. ChaCha, the popular real-time answer service that millions of young people turn to for fun-size answers to any question, has teamed up with DoSomething.org to reach teens for its nationwide Green Your School Challenge. One of the largest organizations in the United States that works to drive youths toward volunteerism, DoSomething.org's mission for Green Your School is to encourage students to help the environment first-hand by launching green projects at school. With over 2 million teens turning to it for answers every day, ChaCha reaches a large, highly-engaged audience of young people, who interact with the company on a wide variety of subjects. This past week, DoSomething.org began to leverage ChaCha's unique mobile and online platforms to inform and inspire teens to get active and involved in the program. The collaboration includes the addition of DoSomething.org's content to ChaCha's rapidly growing questions-and-answers database and to its mobile and online advertising. ChaCha's mobile video service is core to the program, allowing users to watch a short video clip about the program on their mobile phones and respond with interest by joining DoSomething.org's mobile opt-in list. "ChaCha is the 'smart friend' teens turn to every day for answers to questions that are most important to them," said Scott Jones, ChaCha's CEO. "Based on the inquiries we receive from young people, it is clear that this group is keenly aware of the environmental challenges that face our planet and we are honored to be a part of this program that encourages today's youths to take action, starting in their schools." past 5 years while acknowledging their sales (MWh) and revenue. 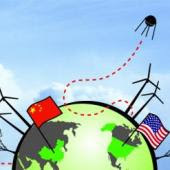 the most potential for offshore wind power development in the world. together. China's Giant Five farm developers all participated. and foreign media made a full coverage of the brilliant event.